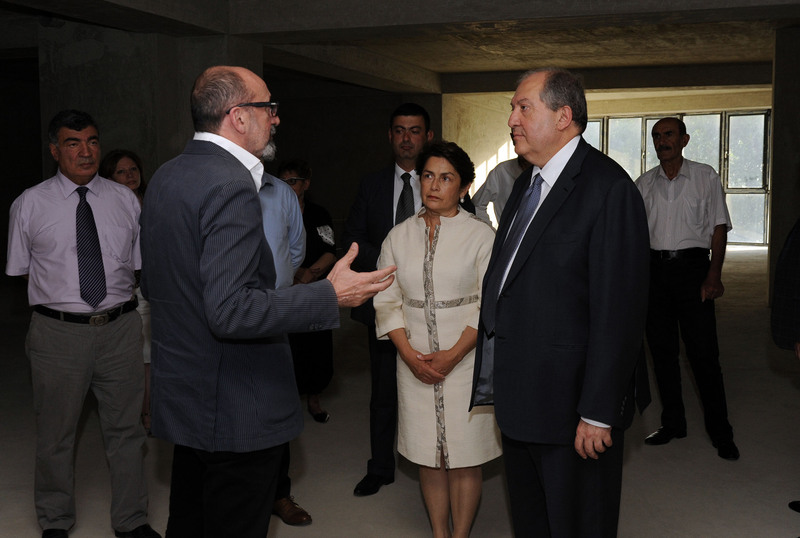 President Armen Sarkissian, along with his spouse Nouneh Sarkissian, today visited the Union of Cinematographers of Armenia (Cinema House), familiarized with the Union’s ongoing activities and the construction project for the future Cinema Museum – Cinematech. 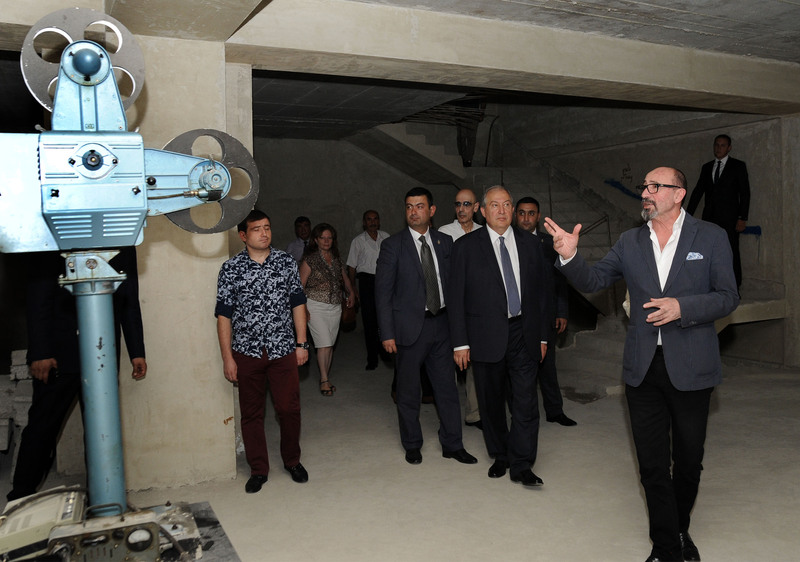 Accompanied by the Chairman of the Union Harutyun Khatchatrian, President toured the site of the future Cinematech and visited the Cinema House, its recently renovated big hall. 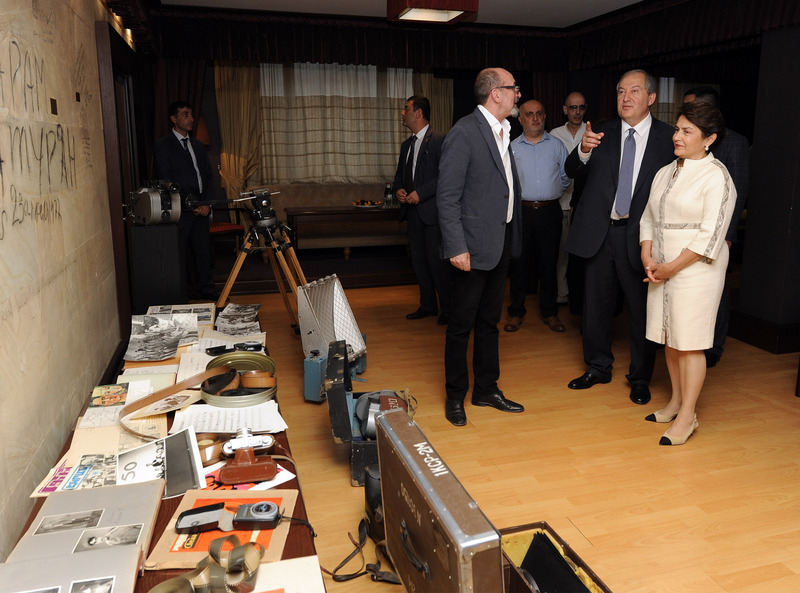 He also met with the members of the commission on the coordination of the works of the future cinema museum. 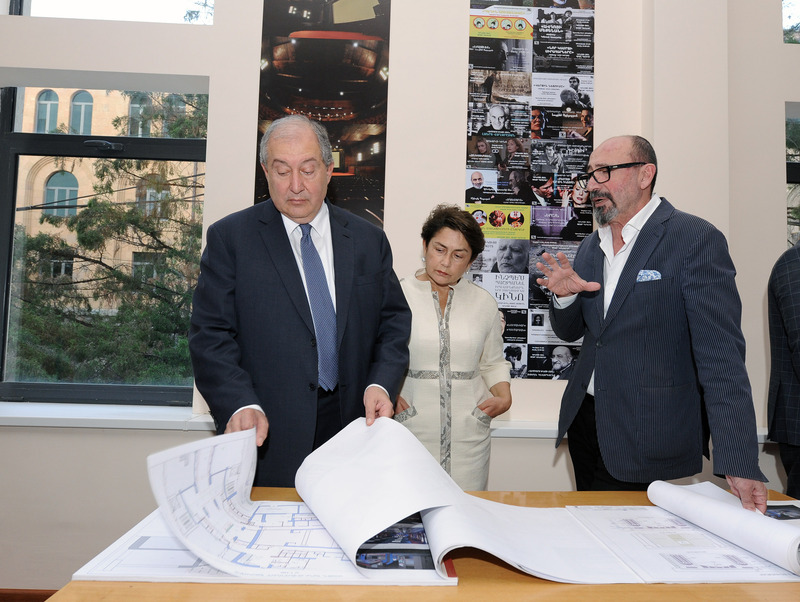 At the meeting presented were the design of the Cinematech, its concept and objectives of its creation. 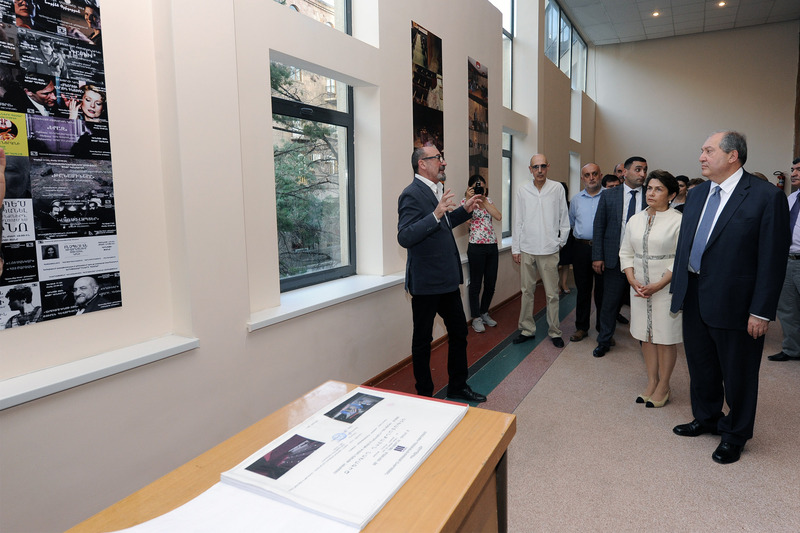 It was noted that the museum will not only gather, preserve and organize demonstration of the Armenian cinematographic heritage but will also be a museum with the modern infrastructure, with the educational and scientific elements and will also serve as a cultural and tourist center. 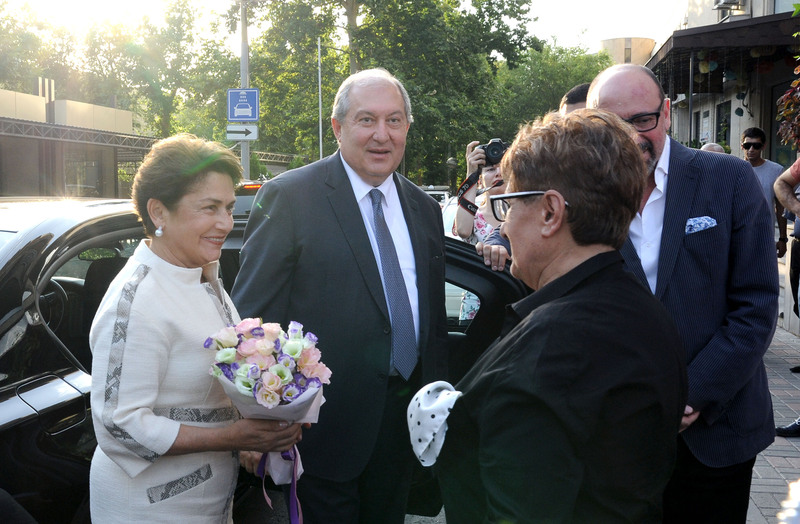 Discussed were also issues related to the implementation of the project, perspectives of development of the Armenian cinematography. 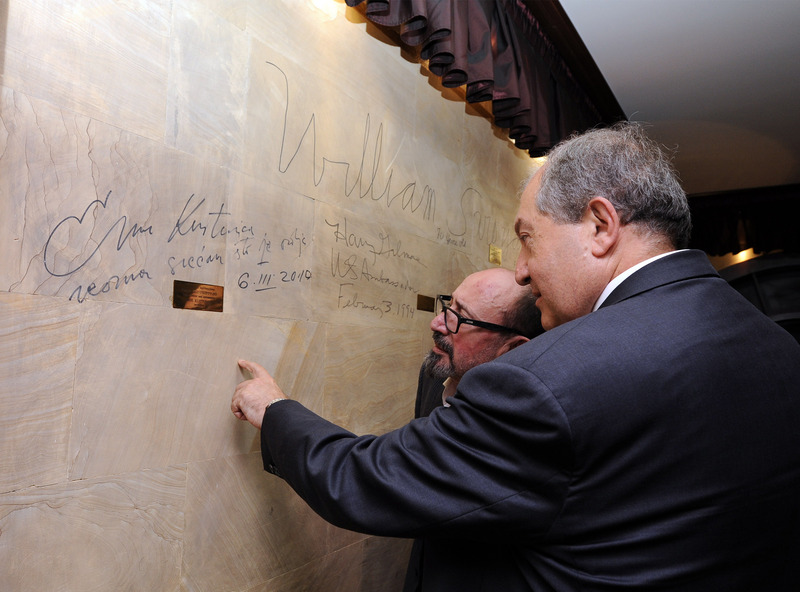 The President also made an inscription on the Memory Wall at the famous Fireplace Hall.